There's also a wool scarf. In the description it mentions cold weather. 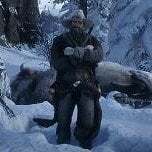 Anyone know of a thread on here, or a guide to using cold weather outfits? Or piecing together an outfit that’s guaranteed to work? I want one but I don’t want to waste money if it’s not working. I’m rank 45 btw. depends, i'm on ps4 and got the wool shirt from the get go, maybe with the UE. Same with the outdoorsman vest. The jacket unlocked at level 11. There's a cold weather outfit you can use with your posse if you're the leader, my brother sees it when we are posse'd up. Do you continue to receive treasure maps every 5 levels indefinitely, or does it stop at a certain point? Yeah. I'm still earning a treasure hunt map every 5 levels. Currently 288. Only up to 50 atm, just curious about the future In GTAO I stopped caring about ranking up once I unlocked everything, so it's nice to know there'll continue to be tangible rewards this time. I'm at 50 as well. 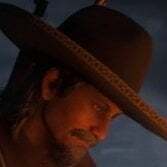 I've been back to F1 racing the past few nights and signing onto RDO only to play with one friend of mine(he's from Canada, you must know him JK). I'm going to get on now and roam around.... I want my Turkoman! I heard crouching makes you invisible. Is that true? Or is it true to an extent? Q: Can the "frill shirtwaist" for female characters be worn with a jacket? Only if you crouch and stay still. Or crouching and moving around slowly, but not not fast movement in crouching. If you look at map radar, your own arrow. It should be grey if you are off the radar. But white if you are visible. I'll have a look 👀 when I'm on next time. i just tried it with a friend but it didnt work? do we have to be engaged in combat? I think this only works in game mode that hides your blip. So it wouldn't work in free roam. In showdown series large in most wanted and name your weapon, I can see this working. AFAICT it's a PvE-only feature in free roam, NPCs have a harder time seeing/finding you when you move slowly while crouched. Maybe the upcoming revamped blip system will make better use of it? You're invisible on the radar, unless shooting or in another players field of view, regardless of crouching or not in showdowns. I can craft potent snake oil. Is there a way to craft standard snake oil? I'm just thinking - then I can carry more of it on me. Already stocked up on potent stuff, max I can carry. Now I'm thinking of stocking up on standard snake oil, and maybe even special snake oil. Don't want to buy it all though. otherwise, I wouldn't know where to look. It can be worn with both vest and coat. Just tested it. Do saloons and bars count as shops perhaps? Have you been to all old man jones locations? no, just been at his camp near...strawberry?! There's more than 1 location for old man jones, I think there's 4. Go to all of them and interact with him (don't have to buy anything) and then you should unlock the award. Butchers, Fences, Photographers, Doctors, even Stables count. Jones honor/dishonor shop counts too right? hmmmkay, thanks! will go see some more stables, and check that butcher in st. denis! Could someone explain why I RULE with my Schofield revolver? I mean, I'm not an expert at pvp, I do somewhat ok. But whenever I pull out old Scho I just wreck my opponents. On paper it should be meeh; Not good for long range, not good for cqc. Is there some hidden reason schofield should be the king of mid and close range combat?